This is the third installment in our new series on Random Acts of Kindness. Each week a different blogger will share about a day that they and their little ones dedicated to committing random acts of kindness. Readers will have a chance to share their own experiences with committing random acts of kindness on our Facebook page, to be a part of our final series post on December 19. 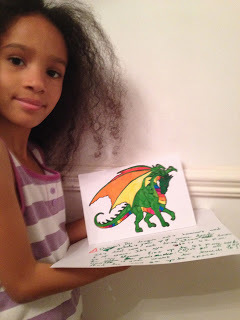 This week’s post comes to us from Bilingual Babes, who shares about her Random Acts of Kindness Day in the UK with her two young children. Visit the main Random Acts of Kindness Challenge page for a full schedule of the posts in this series. I proudly informed my kids that today was a ‘Random Acts of Kindness Day’ and so therefore we were going to be doing kind things for other people. Pan-Pan was very surprised. ‘But we’re always kind!’ he said. How lovely that he thinks we don’t need a special day for it! 1. 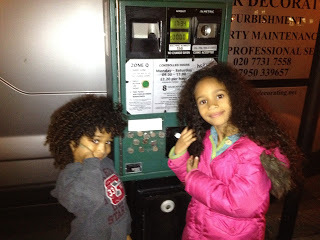 We stuck some coins to a parking meter. 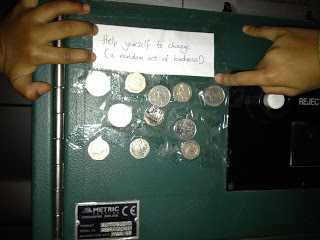 One of my own pet hates is not having any change when I need to park, so we hoped this would help someone out of a fix. 2. Pan-Pan gave a little girl her 10p back. This was actually a completely spontaneous and unprompted by me in any way act of kindness! A little girl dropped 10p at the ice rink and couldn’t find it. After a lot of hunting her dad eventually decided they simply couldn’t hang around any longer and off they went, but the little girl was clearly disappointed. Pan-Pan was very moved by witnessing all this and kept on looking. After a while he spotted the 10p, which had become lodged underneath one of the metal legs of the bench. He tried to hook it out with the blade of his ice skate, but it was too thick. Finally Papa hooked it out with his key. By then the family were long gone so I said Pan-Pan could keep the 10p, although he looked hopefully around for them in the ice rink car park before we drove off. A few roads away, we pulled over to buy some groceries and Pan-Pan suddenly screeched, ‘It’s them, it’s them!’ And indeed it was! I opened the car door, called out so they turned around and Pan-Pan delightedly thrust the precious 10p at them. They was very surprised and very grateful, while I was quietly very proud of my generous little boy! 3. We gave away our shopping trolly with the £1 still in it. Schmoo lurking near the trolley stand, waiting for a victim to be randomly kind to. 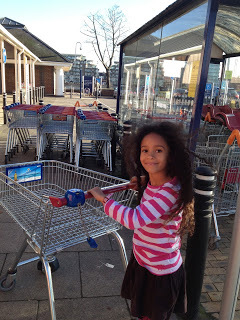 After shopping at Sainsburys, Schmoo offered our trolly to a lady who needed one. 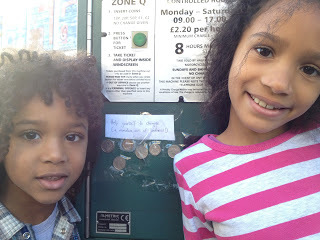 She tried to give us the £1 for it, but we explained it was a ‘random act of kindness’. Once again, our ‘mark’ was very surprised and very grateful! 4. We let a very busy-looking lady jump the queue at the Post Office. I realise that letting someone queue-jump is one of the simplest kindnesses you can do when you’re not in a hurry and there’s someone behind you who clearly is! I’m going to try and be more aware when out and about so I can do this more often. 5. 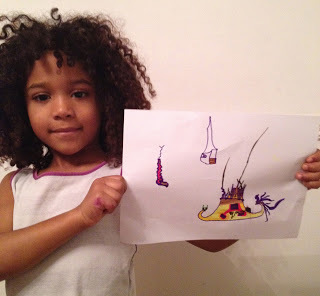 Schmoo and Pan-Pan each made a picture for their Grandma far away in Ghana. 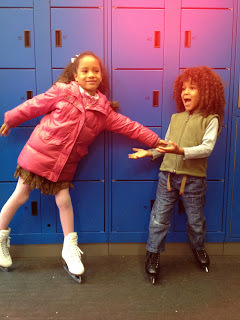 You can read more about their adventures and Tallulah’s research on multicultural products at Bilingual Babes. You can also visit Bilingual Babes on Facebook, Twitter, and Pinterest. Watch for a post next week from Little Red Farm! You can see a full schedule of the posts in this series by visiting the main Random Acts of Kindness Challenge page. Beautiful! I especially love Pan-Pan’s act of kindness. So sweet that he worked so hard to return that 10p and that he in the end he was successful. Oh yes, we were so lucky there and it really made his day! The kids loved seeing the money slowly disappearing! Love this idea of a random act of kindness. This is something my other half has tried to do everyday for a long time often in situations where the beneficiary would never know he done it. When he first mentioned this to me I was struck by how kind it was. I love the things you guys did and getting Pan Pan and Schmoo in on the act is a wonderful idea – a great lesson in kindness for kindnesses sake which they will always remember. Yes, they certainly enjoyed themselves and hopefully it will help them on their journey to becoming kind adults! You three certainly covered alot in one day! The kids certainly look as though they got into the spirit of things and that’s wonderful.